Prompt Precision Manufacturing has developed into a world class manufacturer due in part to a philosophy of being the best, most innovative, and lowest cost domestic producer of custom engineered sheetmetal components and assemblies. Our years of combined experience and relentless pursuit of economical solutions to complex manufacturing challenges has positioned Prompt as an industry leader. We strive for continuous improvement with a commitment to lean manufacturing and promote the attitude of providing superior customer service company wide. Our solid reputation and loyal customer base has been established through a clear understanding of the unique needs of each customer. In today’s “do more with less” environment the Prompt team leads the way in on-time delivery, production runs, small lot sizes, short lead times, and 100% quality at a competitive price. In 1988 Don Widdifield had the vision and desire to start a precision sheetmetal company focused on providing high quality, reasonably priced metal products to the Silicon Valley. His passion quickly became a reality and Prompt Precision Metals was established. Built on the ideals of uncompromising value and service, Don chose California's Central Valley for its low real estate costs, availability of lower cost labor and the close proximity to the Bay Area. Manufacturing operations began in a small rented facility with five employees and a small customer base. 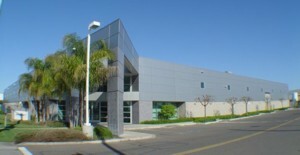 As the business grew the need to expand became imperative and the first owner occupied building was purchased in 1994. By 1996 Don increased the plant size to 25,000 square feet and had a team of 35 employees. From the onset, Don realized that vertically integrated manufacturing would be a clear benefit towards meeting the rapidly changing industry and provide customers the convenience of having all manufacturing processes available in one facility. In 1996, Don added powder paint, wet paint, and silk screening, followed by CNC machining in 1997, and value added assembly in 2000. In 2001 Prompt moved to a newly built, ultra modern 50,000 square foot facility specifically constructed and tailored to maximize process efficiencies and sustain the continued commitment to lean manufacturing. In 2008, to celebrate 20 years in business, Don updated the company name to Prompt Precision Manufacturing. The new name more accurately represents the enhanced scope and forward moving direction of the company in today's global environment. Today, Prompt occupies 75,000 square feet of factory space, housing the most up-to-date equipment in the industry, employs a workforce of over 70 people, and provides services and products to an extensive customer base of OEM's and Contract Manufacturers. From the humble beginnings to today's world class facility, Prompt Precision Manufacturing has held to our belief of "Value, Honesty, and Integrity." Prompt Precision Manufacturing has established a solid reputation and loyal customer base by understanding of the unique needs of each customer. Our team of enthusiastic, experienced and caring individuals is committed to redefining conventional expectations of precision sheetmetal manufacturing thru innovation, problem solving and flexibility. This unique approach has built Prompt a reputation for providing high quality parts, short lead times, and competitive pricing in the fast changing world of precision sheetmetal manufacturing. From the beginning, Prompt Precision Manufacturing made a commitment to invest in the most technologically advanced CNC manufacturing equipment available. These advanced technologies have provided our team with the tools, flexibility, and production capabilities to support new opportunities and sustainable growth. Long term capacity improvement and continued development of core competencies is the by-product of this commitment. To this day, the search for new ideas at every level remains our primary motivation. Prompt Precision Manufacturing, Inc. is rapidly becoming the number one provider of precision sheet metal fabrication for the technology industry in California. Prompt Precision's dedicated team and high level of expertise coupled with their state of the art facility and close proximity to the Bay Area enable us to take on nearly any technological task and complete it within specs and on time. PROMPT Precision Manufacturing's extensive experience in the electronics industry provides the ultimate resource for the best engineering and lowest cost for your project. PROMPT's state-of-the-art facility has all the necessary equipment to take your project from an idea to your doorstep. Complete control over the entire process allows PPM to deliver the very hightest quality product on time and on budget. Prompt Precision Manufacturing offers a state-of-the art paint department that helps to enhance Prompt’s offerings to the customer. Prompt has the capability to do powder paint and wet paint in a multitude of colors, including custom. Prompt’s paint department equipment includes four paint booths, each with powder capability with one also including the ability to wet paint. In addition to the paint department, Prompt also features 3 silk screen stations. Prompt has the ability to create custom screens and color match ink. Prompt also features an exposure unit to manufacture the screens in house. Prompt Precision Manufacturing, Inc. team of engineers have the technical expertise and years of experience to create solutions with the best value-added design at the lowest cost. 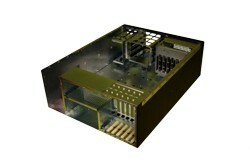 Prompt Precision Manufacturing turn-key assembly offers complete products to customer requirements. We purchase all the mechanical parts and install for the customer. Customer receives a complete ready-to-ship product. 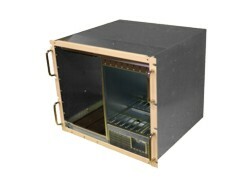 In addition to time and cost savings advantages. 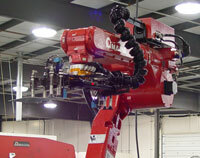 Our onsite mechanical assembly enables our team and yours to see your project start to finish. Reducing the risk of manufacturing issues. The foundation of quality starts with the attitude of our people, interacting together to create a world class and collaborative environment aimed towards embracing an active commitment to quality. Prompt Precision Manufacturing, an ISO 9001-2000 accredited manufacturer, has fundamental processes designed to ensure quality from the time the order is placed to the time product reaches your production floor. Quality assurance is not just final inspection of the product, but a strict set of standards, procedures and protocols that we implement at every stage throughout the manufacturing process. Our formal Quality Management System (QMS) is not only ISO certified, but an integral part of our success. Every member of our team strives to eliminate product defect by continual analysis of our process and its impact on meeting our customer's expectations. With a proactive focus on reducing variations within our process, achieved thru continual improvement, the result is a program that allows us to consistently add value to your product. We have the skills, knowledge, expertise, and tools essential to maintain a QMS program that recognizes that the "whole is greater than just the sum of its parts"
MIETrak - Computer Integrated Manufacturing Management software system designed for the specific needs of the metal manufacturing industry. In use since March 2012, this system consolidates all aspects of our manufacturing process to provide vital data and management information in a real time setting. FabriWIN - Advanced CAD/CAM system specifically designed for sheet metal manufacturing. With the ability to import customer provided 3D models this software system generates accurate CNC programs that reduce programming time, ensure conformity, and reduce machine run times. FabriBEND - Sophisticated bending simulation software that allows our programmers to simulate bending operations without leaving the programming room. FabriBEND validates the initial flat pattern with 3-D visualization and press brake process. This provides real-time simulation of the bending process, automatically checking bending feasibility and eliminating costly trial and error processes on our manufacturing floor. The Quality Management System at Prompt Precision Manufacturing has maintained its effectiveness directly as a result of regularly scheduled audits. These internal and external audits are a measure of how well our quality system is working and provide an indication of where opportunities for improvement exist. Prompt Precision Manufacturing, Inc. has over 75,000 square feet of manfacturing and warehouse space and is owner occupied. The facilities are climate controled and equiped with "State of the Art" manufacturing equipment to service all your needs. 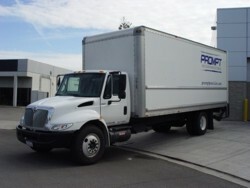 PROMPT's faciltiy is located just outside the Silicon Valley and ships it's products world-wide. At Prompt Precision Manufacturing, the concept of a single source supplier goes beyond the traditional benefits of simply operating under one roof. Understanding the needs and requirements of our customers in today's competitive environment has added to our focus the need to provide seamless supply chain solutions that constantly add value and build relationships. As the cornerstone to your supply chain, our team will deliver savings and working benefits above and beyond typical expectations. The "Prompt" approach promotes maximum opportunity with minimized risk as our goal is to protect our customers from the unexpected by combining lowest cost with best value, providing consistent quality, reducing inventories, and reducing administrative efforts. Since 2001, the Prompt Precision Manufacturing team has been committed towards integrating lean manufacturing into every facet of our operation. From the layout of our production floor to a philosophy driven towards eliminating waste in all areas and in all forms, the Prompt team is fully committed to successfully taking on the challenges of tomorrow today. It is our business to embrace change and truly understand the value and importance of limiting liabilities by providing our customers an environment that offers flexible manufacturing, JIT, KanBan, optimal batch sizes and reduced lead-times. With our unique and specialized expertise in custom manufacturing, the Prompt team of technical experts can provide your design team collaborative support by sharing knowledge, exploring new ideas and solving problems with the goal of engineering scalable, high quality, cost efficient products and assemblies. From NPI to production our willingness to engage with mechanical engineers at every level has helped overcome many manufacturing problems that tend to hinder the potential of a projects success. The byproduct of our commitment to support DFM (Design for Manufacturability) and the constant pressures to lower your costs our team has subsequently pioneered a new mantra- DFC (Design for Cost). In house Reverse engineering capabilities exist for those not so rare instances where the drawings and documentation do not match the actual production parts.